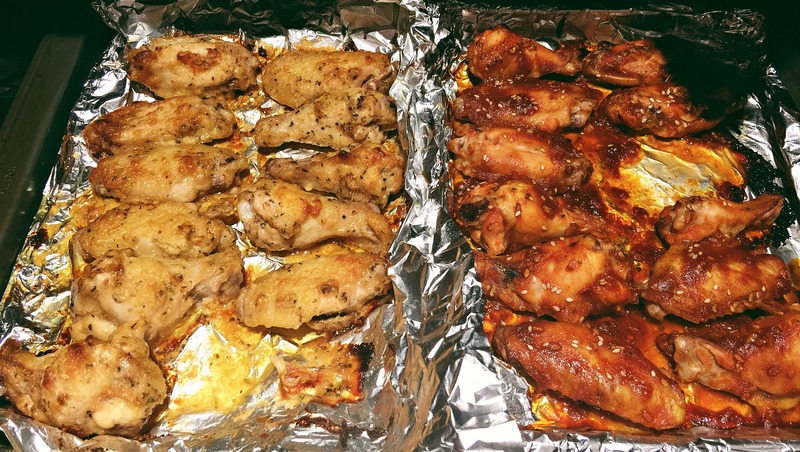 Garlic Parmesan & Sweet BBQ Buffalo Wings! 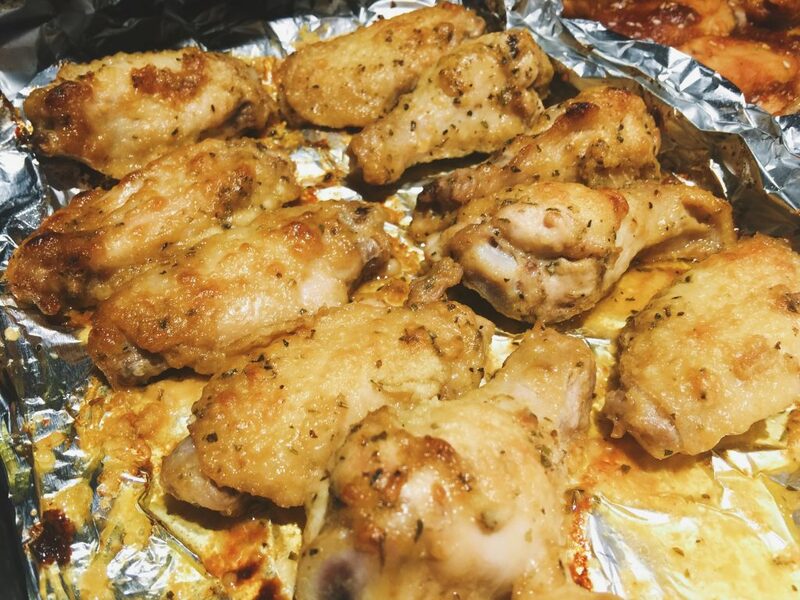 We decided to stay in and make homemade baked wings last night. I don’t know why I don’t do this more often. 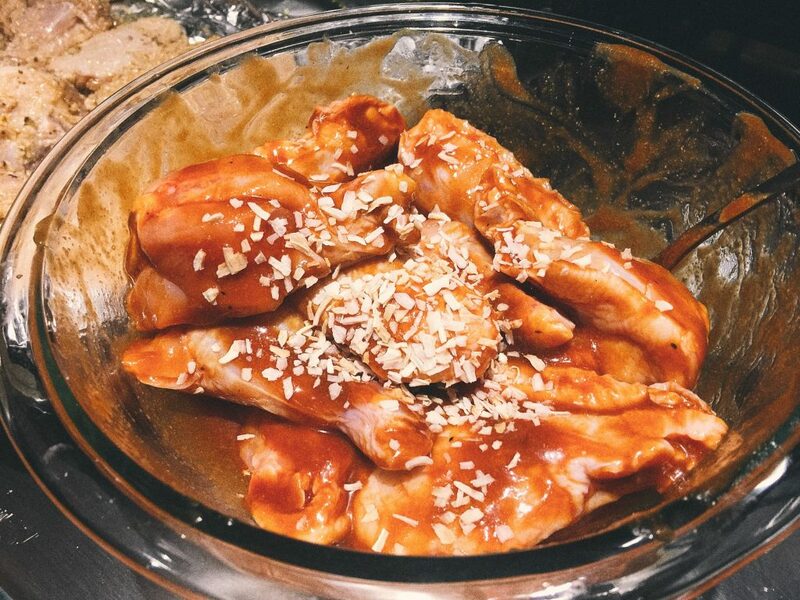 Coming up with wing recipes is super fun and much healthier than the wings you get at most restaurants. I have a feeling I’ll be creating tons of wing recipes during football season this year. 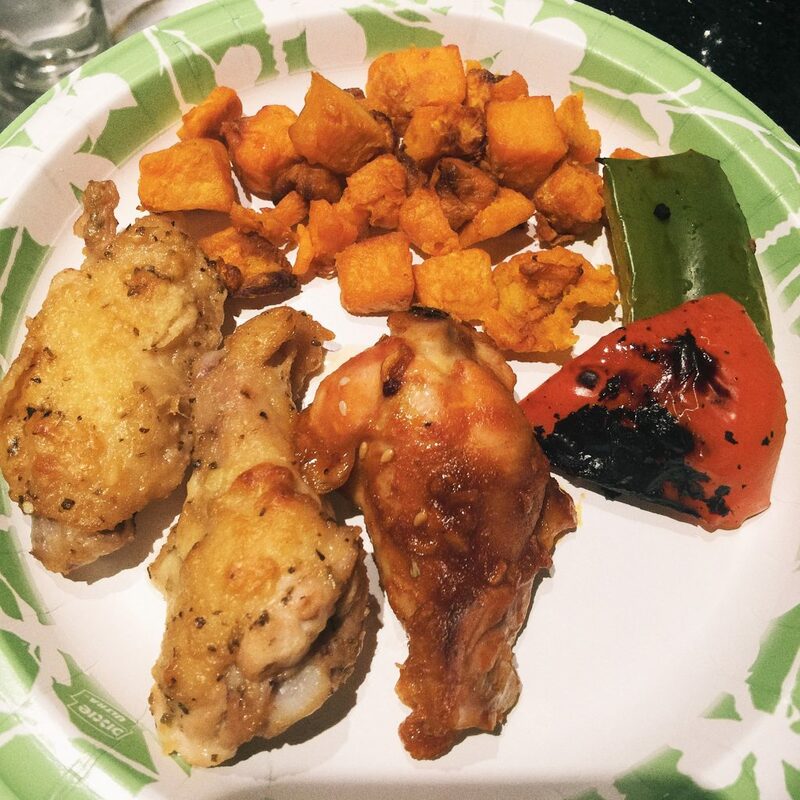 I want to keep all the meals healthy and filling. I let all the diet habits slip last winter, but I’m not letting that happen again. I’ve never felt better and want to keep on moving forward with this healthier lifestyle of mine. *Having people that support your healthy lifestyle is EVERYTHING. 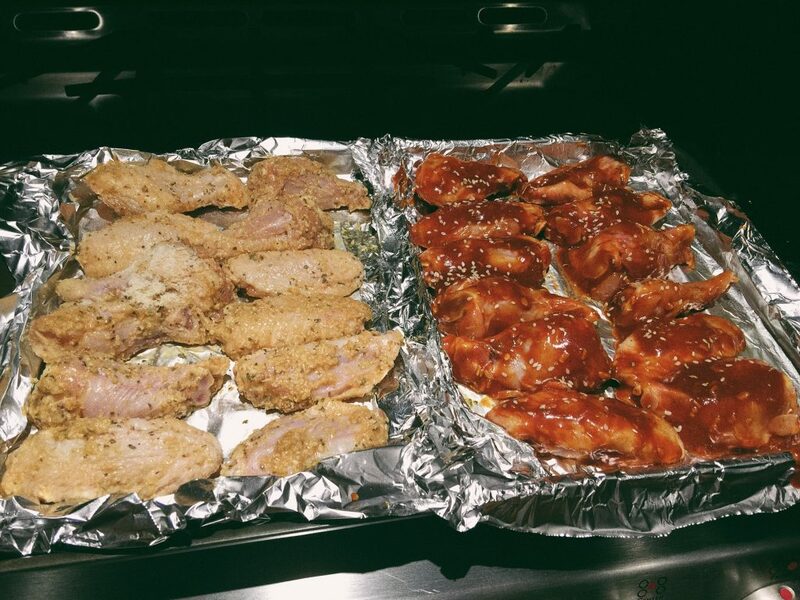 -Spray the tin foil on top of a baking sheet with cooking spray and lay out the wings. -Bake for 30 minutes at 400 degrees. I couldn’t decide which ones I liked better! They were both super delicious and I didn’t feel bad after eating them. I knew where the chicken came from and what ingredients were added. I’m not a fan of buffalo, but with the mixture of bbq sauce…it was great! I put garlic and parmesan on EVERYTHING, so these were bomb. I’d love to dip these in a homemade red pasta sauce. What flavor of wings can you come up with? Football season is literally right around the corner…what is one of your healthy tailgate go-tos? Vegetarians…did you know you can make this recipe using steamed cauliflower!? Loved the garlic and parmesan wings!! I have never thought to put cheese on my wings before, legit game changer! Made these for the kids last night and they requested them again. Thank you! How many calories are the wings? I made those flavors on the grill. Great recipe! Great idea! What kind of chicken do you buy for them? Do you cut off the skin? What are/how did you make air fried potatoes?! Please share! Hi Heather! I didn’t make them 🙂 Kyle’s roommate did! I’ll ask him though. Thank you! I try to eat yummy healthy, it makes me feel so good. I didn’t air fry the cauli becausevthe batter was drippy, and i thought it might make a mess. Oh yes, that would be a mess! Maybe they’d be good in a different sauce! I’m so pinning this! I don’t like a lot of spicy wings, so I go for the “wimpy” flavors. lol! 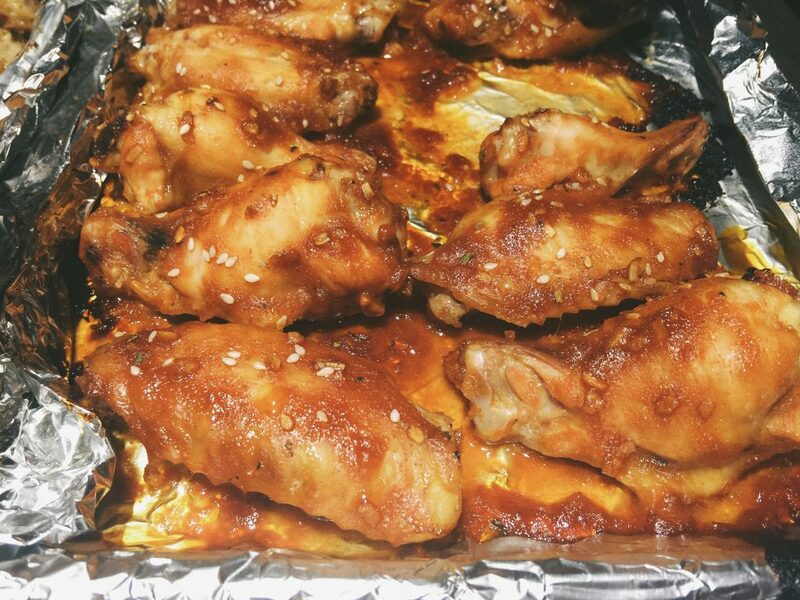 I made wings for the nfl draft a few months ago and they were pretty good. I made them myself also due to the health factor. I decided on a sauce that sounded both sweet and spicy so my husband could get his heat and I could enjoy a few without burning my mouth off. I’m a spicy food wimp. 1. I’m not good at coming up with my own recipes, I’m better and making subtle changes to recipes that I’m following. 2. I hate football. but I end up watching a lot at parties or restaurants, or when hubby is watching it all. day. long. so I try to find recipes and choices that are healthy to snack on. veggies and dips, chips and salsas or new dips I find to try. 7- layer bean dip with massive amounts of veggies. quesadillas without a ton of cheese. pretty much what you would expect at a tailgating party, but with healthier alternatives than store/restaurant bought. spaghetti feeds and pizzas(homemade) are a fun alternative for a big football watching gathering as well. 3. I am still unable to find the birds-eye buffalo cauliflower veggies you posted about last year. I may have to make my own! These look delicious! Can’t wait to attempt them, I love wings! There is a place around the corner from me that does Lemon Pepper and they are to die for! 3. I made cauli wing bites not to long ago, I whipped up a thin batter of chickpea flour and dipped them before baking, (steamed the florets lightly first) then tossed with a sauce at the end. So yummy! YUM!!! 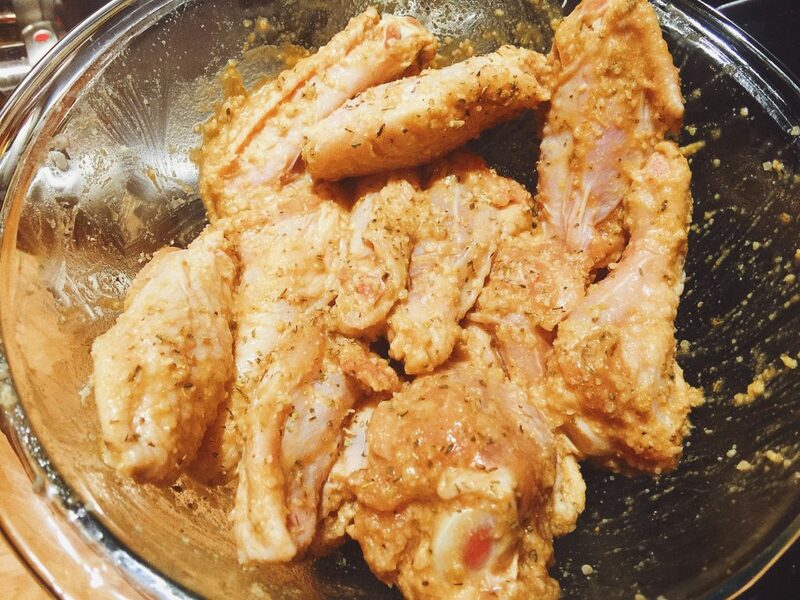 I love honey mustard wings and I bet your Dijon Mustard ones are awesome. You sound like the perfect cook! Have you tried to air fry the cauli ones yet?